Modern elegance is a much revered trait, and one which is very difficult to stumble upon when designing your interior. 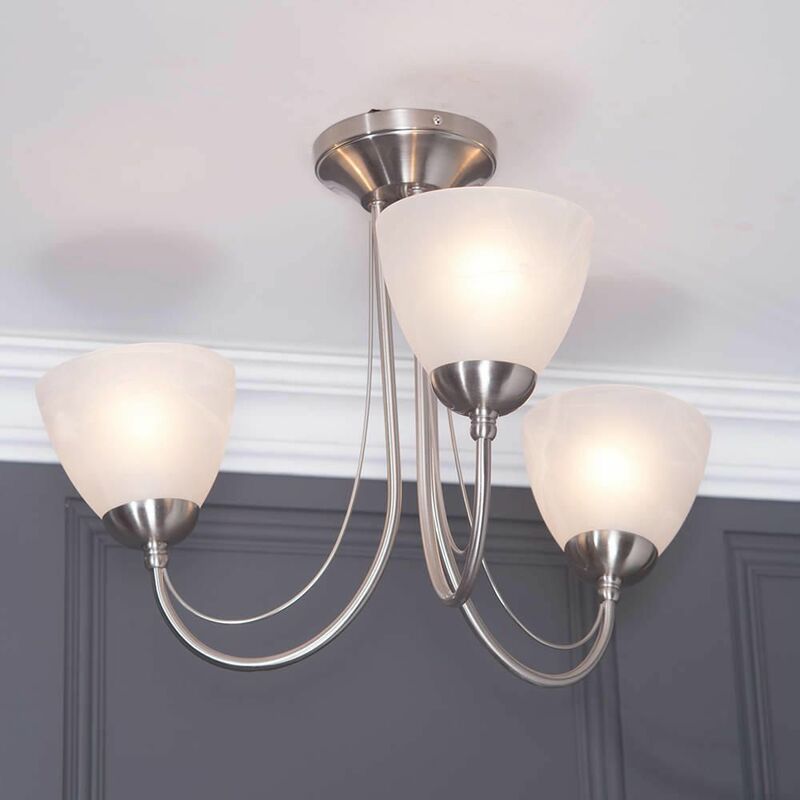 Luckily, if you’ve found the Barcelona 3 Light Ceiling Light in Satin Chrome, you have found yourself a winner. 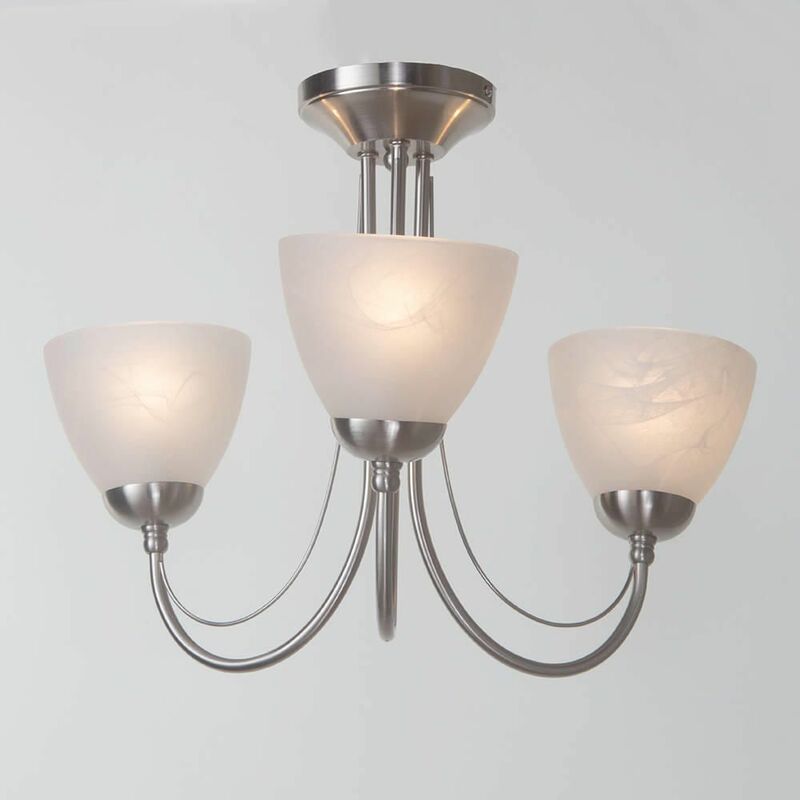 This mesmerizing 3 light piece has everything you could possibly want when looking for an elegant ceiling light with a hint of modern style. 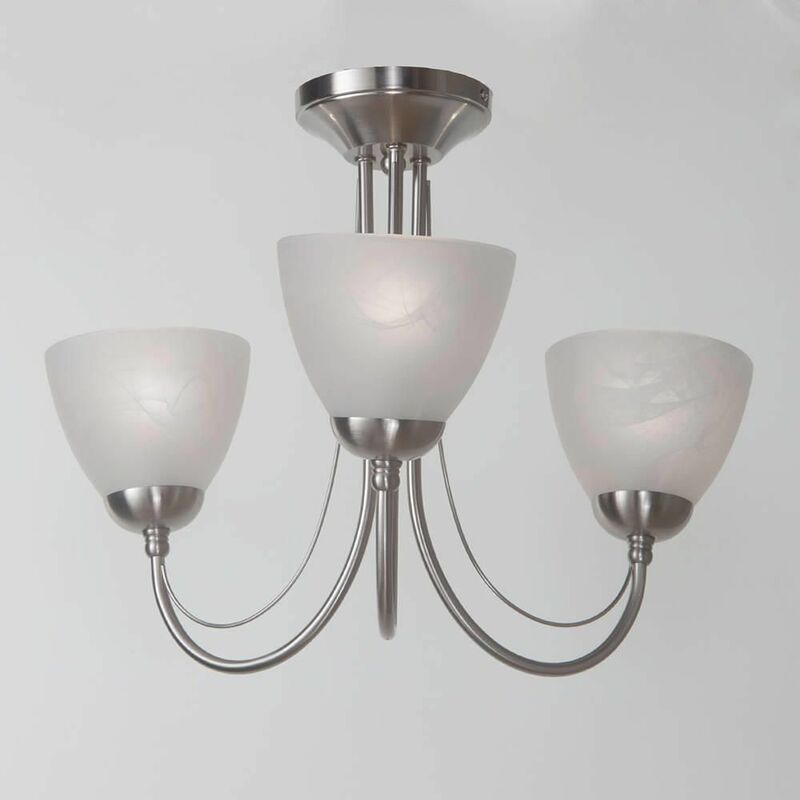 The structure features a flowing metal design which bends and curves upwards to show the 3 wonderful alabaster glass shades which add a soft and calming glow to the lights, avoiding the harsh tones of the raw light. The satin chrome finish is where you get the modern twist. This design is a classic which could stand the test of time thanks to the simplistic yet sophisticated design, however the chrome effect adds a clean and fresh appearance to the piece which has connotations of a modern and contemporary interior. 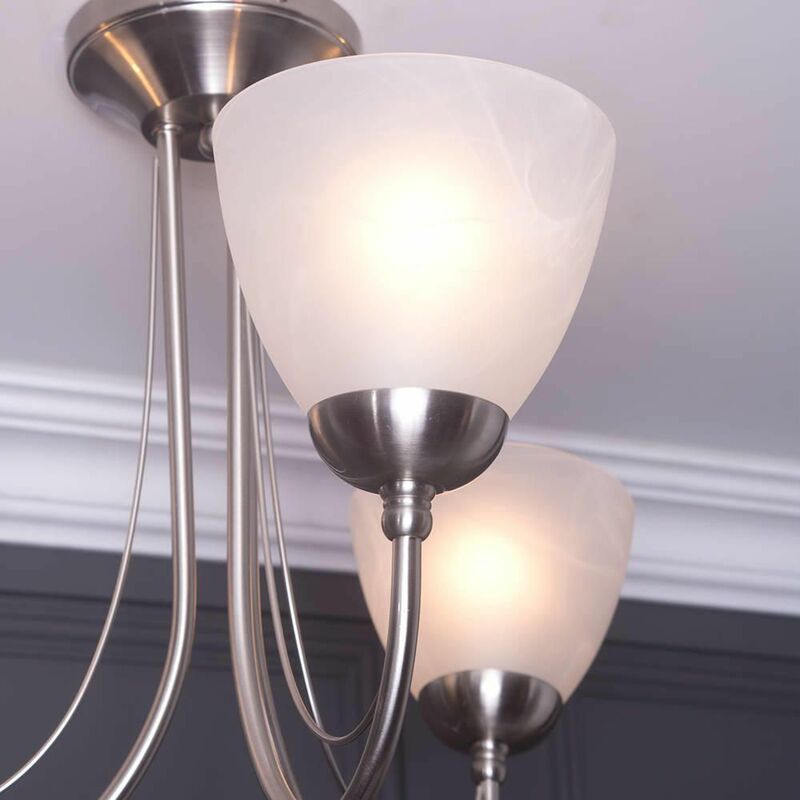 Simply put, this light has the versatility and quality to make a welcome addition to any home. What’s more is that thanks to the flush/semi-flush style these lights come with the added functionality of being perfectly suited to lower ceilinged houses, courtesy of the reduced drop height that the flush/semi-flush creates. Q: Can I buy replacement shades? 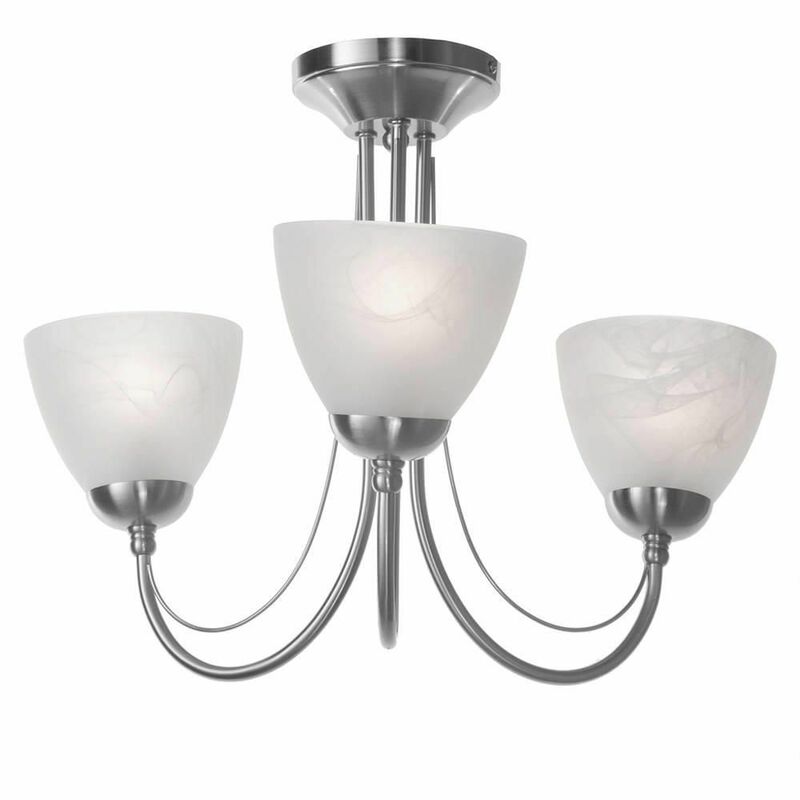 Q: What bulbs do you recommend for Barcelona 3 ceiling fitting, preferably LED dimmable if suitable. I bought from you two fittings for quite a large living room and one for the small hall.